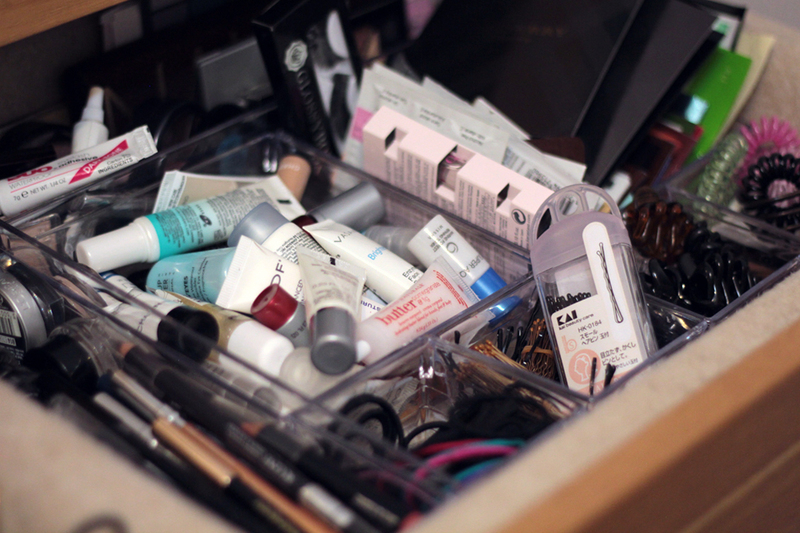 I am always fascinated by the art of storing makeup. I love seeing how people organize their collection because I always glean inspiration from it. 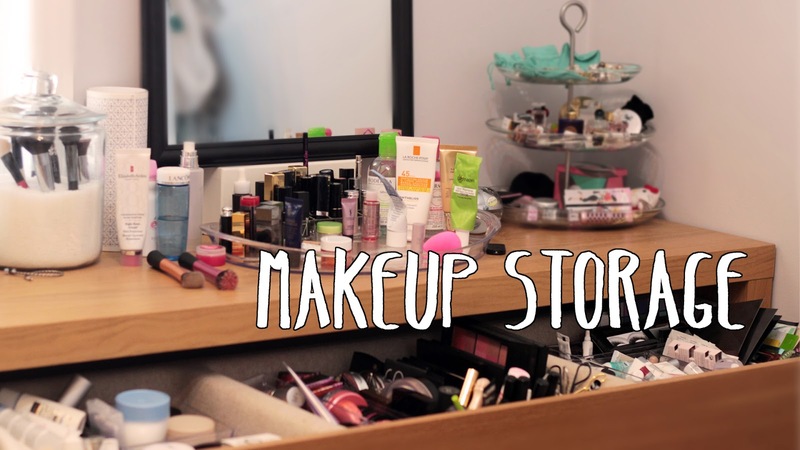 So today, I'm going to take you through my makeup storage story. a 3 drawer chest (see here). 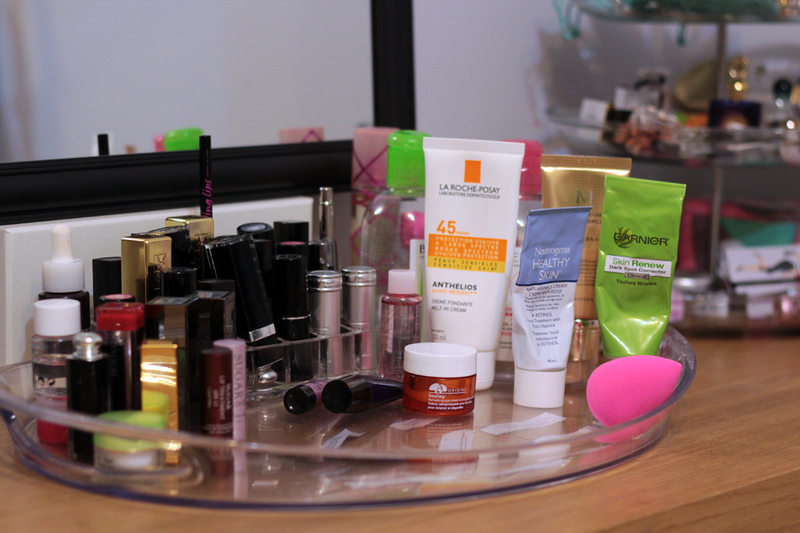 I use this acrylic tray from Loblaws as a center piece to hold lipsticks and some daily skincare items. An inexpensive 3 tier serving platter from Ikea. 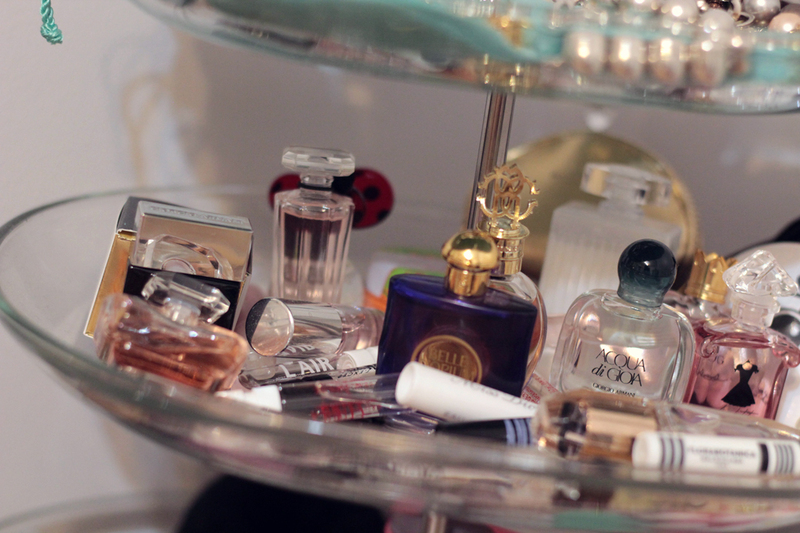 I use it for jewelry, my hoard of fragrance samples (though I adore the mini replica bottles), and miscellaneous trinkets. There are four sections in the long drawer of my dressing table. I use them for an assortment of things and I organize the products in inexpensive acrylic containers that I got found at a dollar store. They come in various sizes which fit perfectly in each space. There's a Godmorgan box with compartments (also from Ikea). 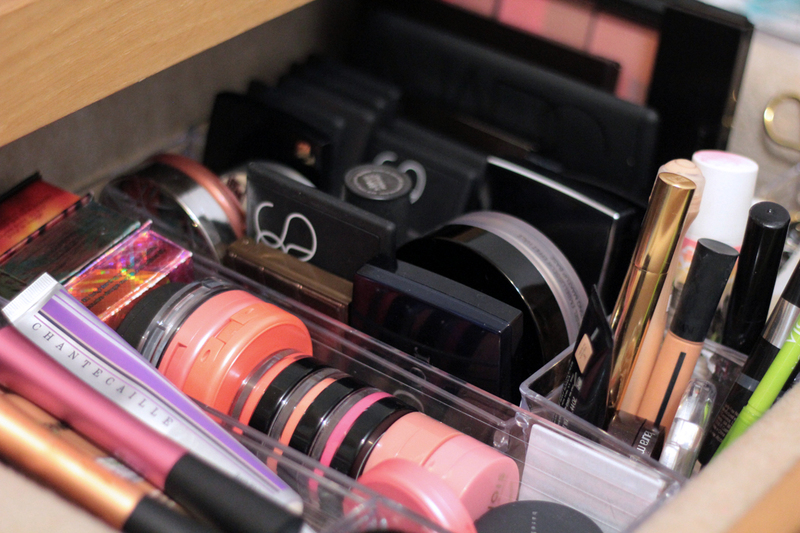 I use it for a myriad of lip products, mascaras, and eye liners. My nail polish lives in the bottom drawer. I store them in trays by colour, not brand. The trays are from Really Useful Products, I found them at Staples but they're also available at Solutions. 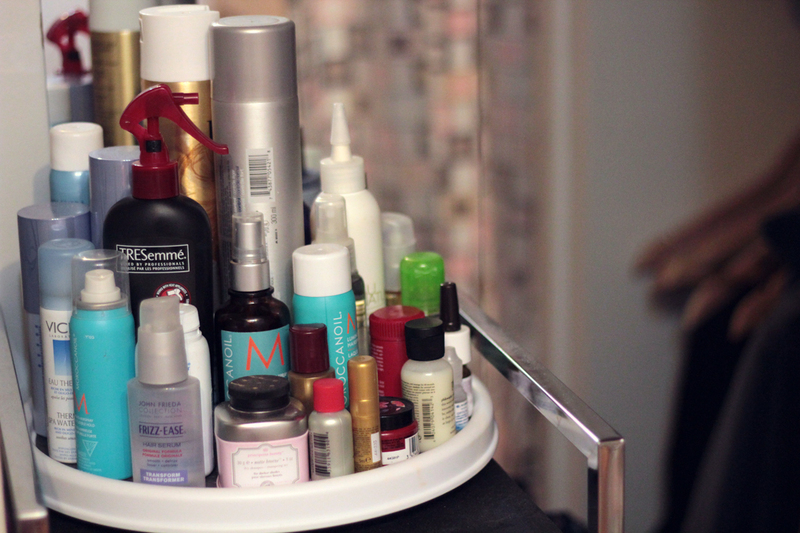 I keep most of my hair products in my closet on top of a drawer set. I sit them on a round turntable that I got from Homesense (similar ones available at Solutions). It's great because you can easily see everything with a simple spin. I've done a post on this before (I even borrowed a picture from it). 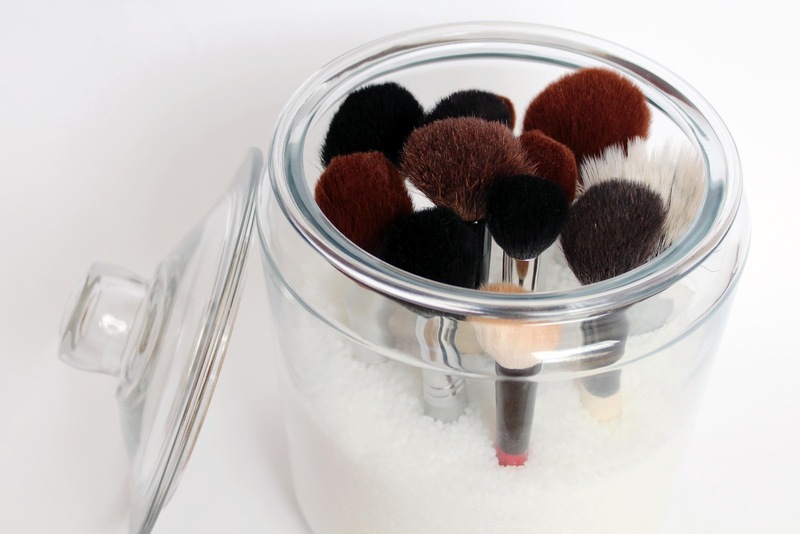 I store my brushes in a cookie jar from Crate & Barrel. The lid keeps the brushes from gathering dust. The beads are the same ones toy makers use to fill up beanie babies. You can find this stuff at craft shops. 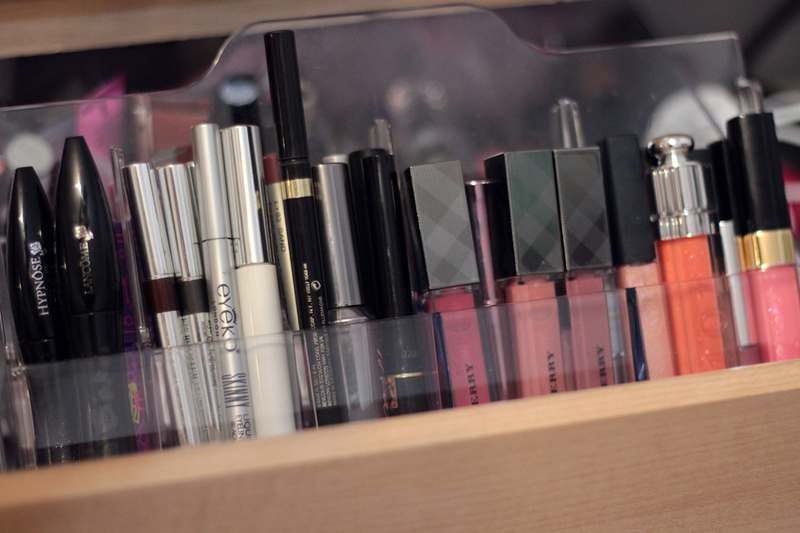 My make-up collection is like 1/10 of what you have an I am still overwhelmed lol But I do envy your collection! Wow this is quite the storage area you have here! My collection doesn't even come close to this! Great collection! How do you like the Burberry lip glosses? Are they worth the money? Crap...my collection is bigger than yours...and yours is pretty big! My fiance would be so mad if I dedicated a dresser and tabletop just to MY products! I've been begging to move into a bigger place just so I can have my own makeup room! You have such a great collection and it is so well stored! I wish that I had more space so that I could do that! I've been dying to find a dressing table, but they are so difficult to come by for some reason! I love posts like this! I've been looking for those beads forever, I just didn't know where to look. You're so much more organized than I am! Great storage ideas -- I may borrow a few!